This is probably the quickest update I’ve ever done. Perhaps I’ll start doing this quicker. I’ve noticed that when I -want- to write, these things FLOW. When I don’t, we wait two weeks for an update. As promised, there’s a montage of the short area. The boss battle was not recorded because, for some reason it messes everything up in the playback. They were asleep. I knew it. I couldn’t sleep. The day had had too much weight placed upon it. Quietly exiting the house, I sighed. Anna. Why did it have to end that way? Sitting by the oasis, I plucked on the string of my harp. “I miss you, Anna.” Turing I spotted a Water Hag approaching me. “NO!” A challenge. I couldn’t do this right now. I knew I was going to die here, at my lowest. Looking to the sky, I saw something, something that overjoyed me. “Edward..” Anna spoke. 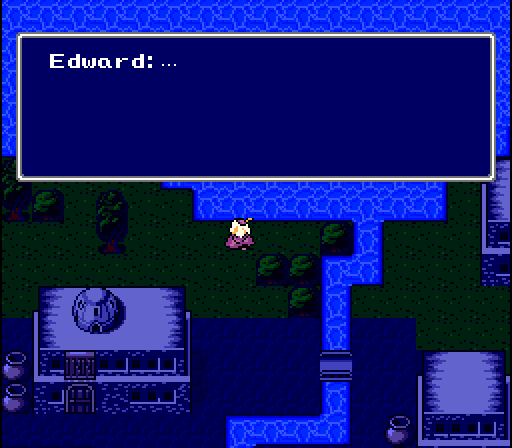 “Edward, you must fight! And you must believe in yourself and be strong!” Anna disappeared, and the Water Hag was quickly vanquished. Regaining my senses, I once again saw Anna; standing on the water. “Edward, I must go now. Shh.” She had silenced my pleas. 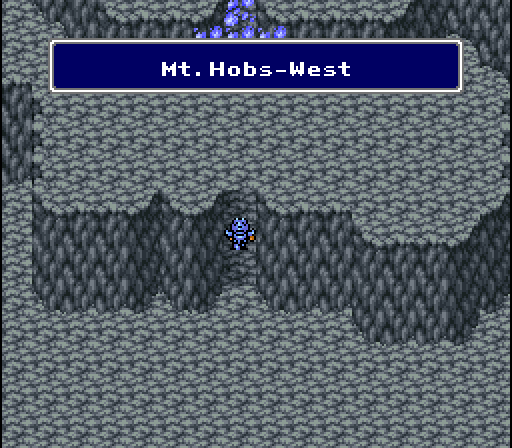 “You must go with Cecil, and make sure that Golbez does not get his hands on all the crystals. You loved me, and protected me. Now you must do the same for the people of the world.” She started disappearing. “Anna! I will! But, what am I supposed to do!” Nothing. She was gone. It was a quick trip to Mt. Hobs, thanks to Edward’s personal hovercraft. “Here we are. And there’s the ice, just like Edward had mentioned. Seems as though we’ve hit an obstacle.” Rosa stepped to the ice wall, then turned to Rydia. 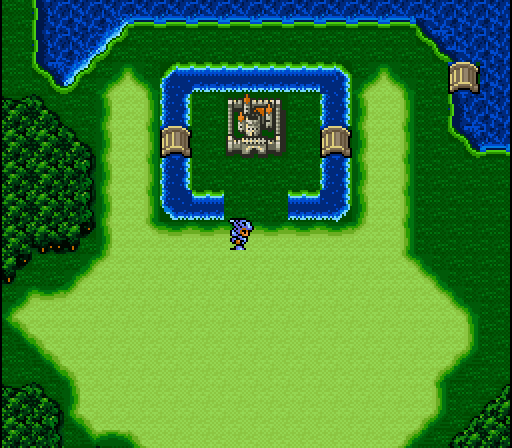 “Rydia, you need to cast the spell of Fire for us to get through.” Rydia was silent. 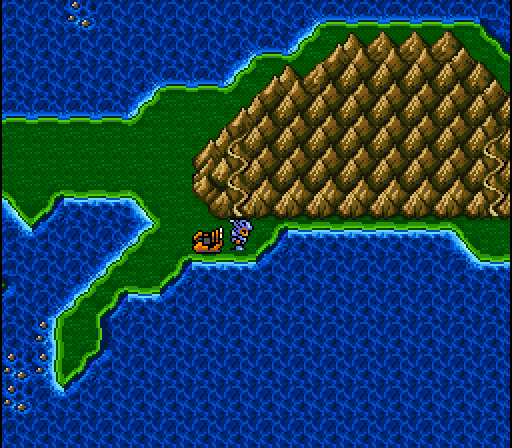 “Rydia, I know you can do it. It should be nothing more than a simple trick for a Caller.” Rydia shook her head. “..No. I won’t! I can’t! No no no!” Rosa looked to her puzzled. “I hate fire!” Oh boy. “Rose, she’s afraid of it because her entire village was destroyed by fire.” Rosa nodded to me, and sat by Rydia. “Rydia. You’re the only one here who can melt that ice for us.” Rydia was silent. “If we don’t through here and to Fabul, even more people will be in danger. If you overcome your fear, you’ll help not just us, Rydia, you’ll help out everyone.” She’s going to be a good mother someday.. Rydia silently nodded while Rosa stood. 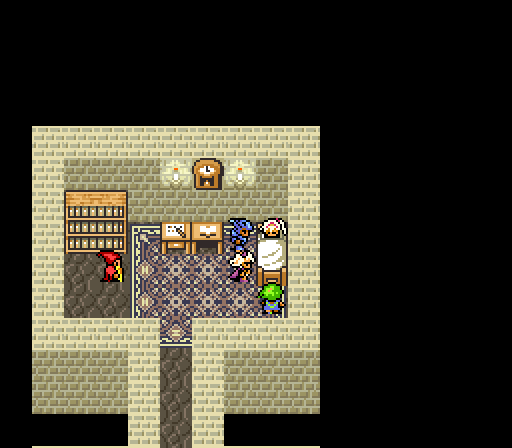 “Now, go Rydia.” I watched as Rydia closed her eyes, chanting something, a small light was emitting from her hands. Sticking both her hands out, I knew what was going to happen. Her small voice broke the silence among us. “…Fire!” The ice was instantly melted. Rosa patted her head. 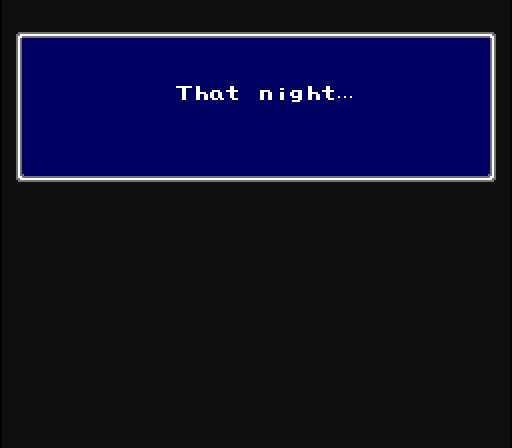 “Thank you, Rydia.” Rydia.. I thought. If you can overcome your fears at such a young age, then I can overcome mine! 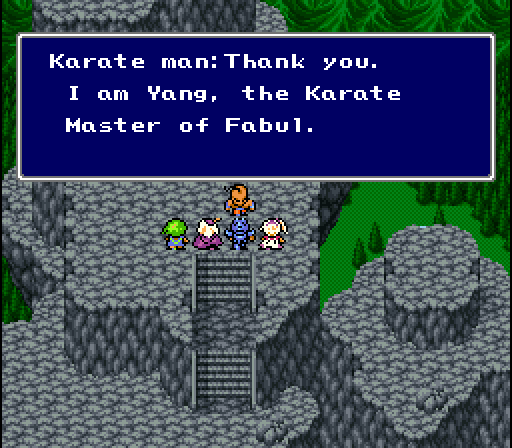 There was Fabul. We were ahead of Golbez and the Red Wings. We might just make it. We silently looked at each other, and headed towards the castle.. Previous: Chapter 2, Part 3. Next: Chapter 3, Part 2.